It might seem like you have a long time before your graduate dons their cap and down and strides across the stage for their diploma, but the truth of the matter is, it will be here in the blink of an eye. There are few moments prouder for a parent than when their child finally graduates, whether it’s high school, college, or graduate school, and naturally, you want a celebration fit for this glorious occasion. What better way than with a graduation party? Why Plan a Graduation Party? Graduation is a milestone in your child’s life that you will never forget. When you first had your child, whether you gave birth to or adopted them, it was probably difficult to imagine that one day, they would have enough knowledge and years of study to receive a diploma. They grow up in the blink of an eye, and so it can be easy to let special moments like these go by in an instant. A graduation party gives you the opportunity to slow down time for an afternoon or evening by raising a glass to your beloved child. Bring together all their friends and family to celebrate this major accomplishment, and create an even more special memory for them. If you have never planned a graduation party, you might be feeling overwhelmed. We have compiled a timeline to help you so that you don’t end up running around a few days before the party, feeling stressed. It might seem soon, but in reality, graduation will be here before you know it, and you want to begin your initial planning three months before the party. Keep in mind that other graduates of your child’s program will be throwing parties as well, so if you want to secure your ideal date, it’s better to get this on the books sooner rather than later. Pick a date, and send out graduation announcements to close friends and family so they can set aside the evening for your graduate. Start by asking your graduate what they would like from their party. 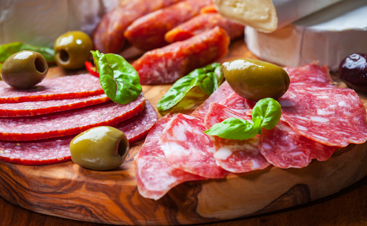 Some people will want a raucous backyard BBQ with the whole neighborhood invited, while others might prefer an intimate dinner with only close friends. While you may feel you know your graduate well enough to know what they want, graduation marks the time when they pass from a child into an adult, and it’s important that they feel heard. Ask them what theme they would like, how many people they want to invite, and what type of menu they’re interested in. For graduation party catering in the Detroit area, contact Thomas’s Catering as soon as possible to schedule your event! Our schedule fills up quickly during graduation season, so the sooner you call us, the better. Make sure that you have all the major decisions about the party settled on by now. You should know the theme, the menu, the venue, and the time and date of the party. Again, check in with the most important guests, such as your graduate’s best friends and your immediate family, to ensure they know where and when the party will be. This is the time to order all of the decorations, invitations, and party supplies you will need for the party. Taking care of them this far in advance ensures that you have time to get a good deal instead of rushing and throwing money at the problem. Often times, you can get less expensive decorations online, so ordering six weeks ahead of time means you don’t have to stress about them getting there in time for the party. By now, your guest list should be completely finalized, and invitations must go out as soon as possible. If you are inviting out of town guests, you may want to send out invites earlier, but the timing of the invite is delicate. You want to make sure it is early enough that your guests have time to set aside the date, but not so early that they completely forget about it. This is why we generally suggest five weeks. For smaller parties, handmade invites are a nice touch, but if you are throwing a bigger event, we recommend ordering invites from a stationery store or online photo store, such as Snapfish. By now, you have received your RSVPs and have a clearer picture of who will be attending. 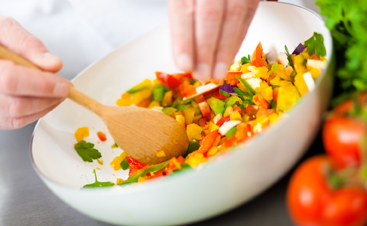 At this point, contact Thomas’s Catering to confirm your numbers so we provide you with the right amount of food. 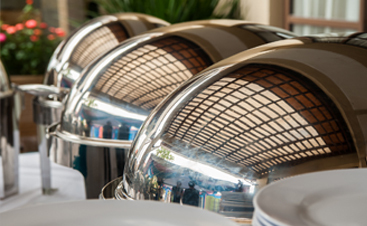 Double check you have all the decorations you need and that your venue is prepared for you. Then, breathe easy! You have done everything you can for your child to have the best graduation party ever! 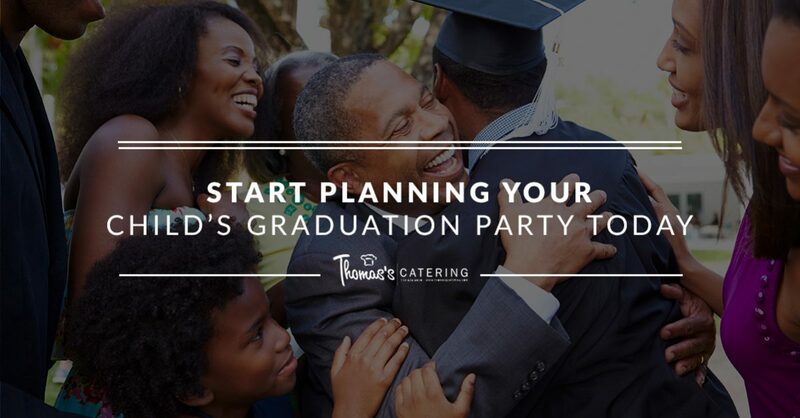 At Thomas’s Catering, we are honored to play a part in many special events, including graduation parties. If you’re looking for graduation catering in Livonia, contact us today!